boxing day test won the International Cricket Poetry Prize 2011. The poem has been published widely. Most recently boxing day test was selected for publication in Can I Tell You a Secret?, the 25th Anniversary Anthology of Live Poets Sydney, launched in November 2015 at Don Banks, North Sydney. It was also published, with essay, in ‘Notes for the Translators‘ (ed Dr Christopher (Kit) Kelen). International launches for this anthology of 142 Australian and NZ poets commenced in July 2013. As a qualified translator (English-German-English) and life-long fan of cricket, preferably Tests, ‘Notes for the Translators‘ brings together Cecilia’s love of language, space, sound and the challenge of the (un)translatable. 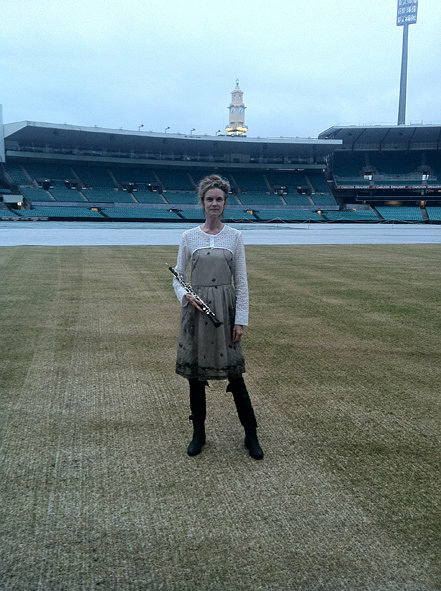 Image: at the International Cricket Poetry Prize event, Sydney Cricket Ground.